Over the years, TIE has sponsored or contributed to many events both within the Tufts community and outside of it. Included here is an archive of recent TIE events from the past five years! 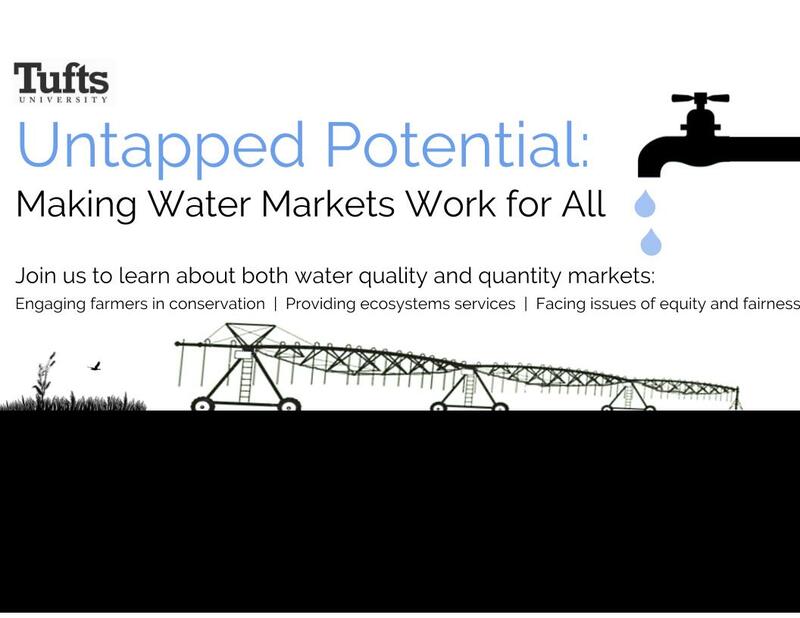 April 24, 2017 | TIE co-sponsored this event with the WSSS program to create space for interdisciplinary discussion surrounding the topic of untapped water markets in the U.S. and abroad. This event saw speakers and panelists from a variety of water systems backgrounds convene around topics relating to water quality trading, changing politic agendas and their impact on water markets, market-based solutions when regulations and policy are unclear, and how to grow the U.S. water market. Co-Sponsors: SEI, Tufts Friedman School Student Council, MassCEC. Click here to read more about the WSSS Symposium and the WSSS program! April 11, 2017 | TIE co-sponsored this event with the Stockholm Environment Institute (SEI) to celebrate their 10-year partnership with Tufts University. This event featured two panels, "Energy and Climate" and "Food, Water, and Health" to create a discussion relating to this nexus in the context of global climate change, and keynote presentations relating to survival and sustainability in the context of water modeling and the global sustainability agenda. Speakers, panelists, and attendees ranged from members of the Tufts community and SEI's various international centers to foster a diverse and productive conversation that looked both at global and local U.S. issues. 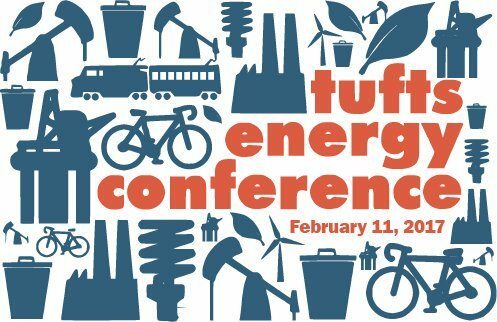 February 11, 2017 | The Tufts Energy Conference is an annual event that has seen the gathering of professionals, students, and researchers since the first conference in 2006. Over ten years later, the Tufts Energy Conference is one of the largest entirely student-run conferences in New England, and aims to create thought, action, and conversation around issues such as clean energy, energy accessibility and security, and global energy barriers. This year, the conference's topic was "Innovation for Global Energy Access," and saw the meeting of students and professionals from the fields of engineering, international affairs, urban planning, economics, and many others. 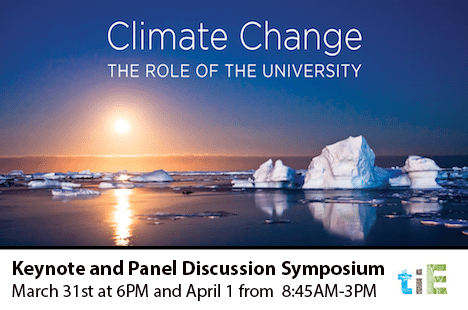 Co-Sponsors: Tufts Energy Conference, CIERP, The Fletcher School, and many others. Read more about the planning of the event here! 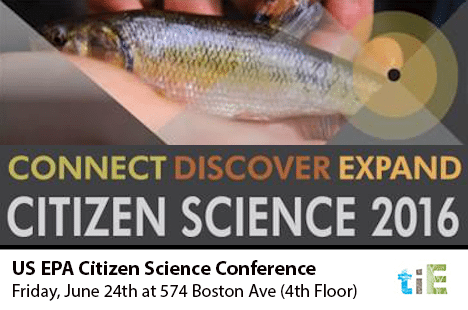 June 24, 2016 | The Citizen Science Conference explored the possibilities and potential of citizen contribution to human and environmental health. Using an Open-Space format, the conference prioritized conversation rather than presentation in the hopes of initiating dialogue that allowed for ideas to be shared among the invited peers. Co-Sponsors: U.S. EPA Region 1, NEWIPCC, NESCAUM, and NEWMOA. March 31, 2016 | In celebration of the Talloires Declaration, the symposium focused on the action and initiative that universities can take on issues relating to sustainability, green technology, carbon dependency, and fossil fuel divestment. This symposium examined the role of Tufts in particular, as well as other universities more generally, in planning and executing sustainable initiatives to support a greener future, and included speakers and panelists that sponsored conversation relating to these issues. Collaborators: Tufts Office of the Provost and Tufts Climate Action. Read more about this event in Tufts Now! 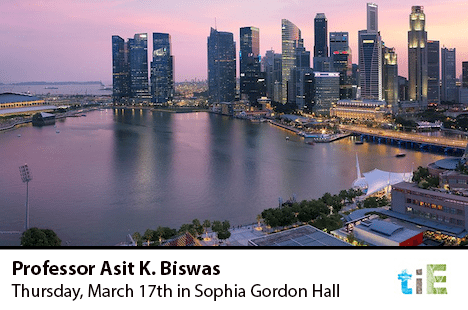 Guest Lecture with Asit K. Biswas: "Impacts and Implications of Transboundary Water Management in South Asia Beyond 2025"
March 17, 2016 | As the founder of the Third World Centre for Water Management in Mexico, the Distinguished Visiting Professor at the Lee Kuan Yew School for Public Policy in Singapore, and winner of multiple awards relating to issues regarding water resources, Professor Biswas is the authority on water resource issues and management in the global scene. His lecture focused on the future of South Asian water management, particularly as it relates to trans-national bodies of water, and the benefits and complications that will result from the necessity of sharing this vital resource. Tufts goes to COP 22! 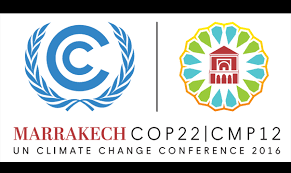 November 7-18, 2016 | The 22nd session of the Conferences of the Parties (COP 22) to the UNFCCC was an event of global importance of the environment. Countries from across the world gathered in Morocco to enter into force the Paris Agreement, which brings all nations into a common cause to undertake ambition efforts to combat climate change. Tufts and TIE are proud to have sent delegates to represent the University at this event. Click here for more information on TIE's participation! 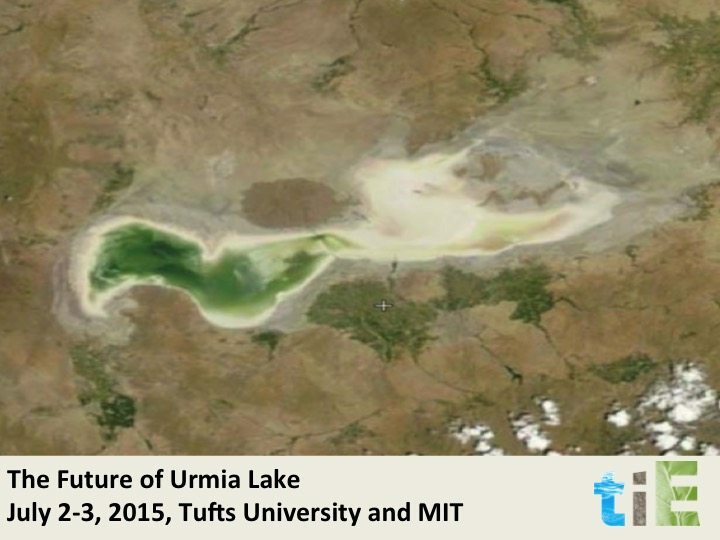 July 2-3, 2015 | Urmia Lake, one of the most valuable aquatic ecosystems in Iran, has faced extreme water loss in recent years due to overuse and mismanagement. In working to restore the lake, this workshop applied the Water Diplomacy Framework in order to propose sustainable resolutions to this water crisis that will meet the needs of a diverse stakeholder population. The results of this workshop were prepared into a formal report that can be found here. Co-Sponsors: Tufts University Water Diplomacy Program, MIT, and various other university and international sponsors. 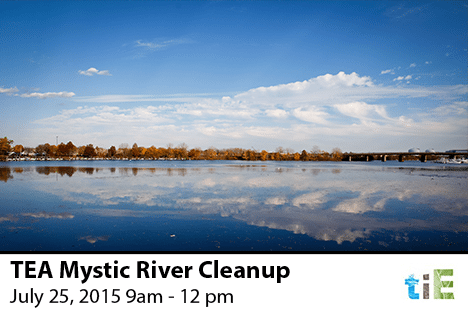 July 25, 2015 | The Tufts Environmental Alumni (TEA) collaborated with the Mystic River Watershed Association (MyRWA) during the Jumbo Alumni Month of Service (JASM). The Mystic River, one of the most important aspects of the Tufts community for the Medford-Somerville campus, is threatened most by urbanization, pollution, and invasive plants. TEA, and other Tufts alumni, joined the MyRWA in canoes to tackle the invasive water chestnuts and any litter they encountered. Collaborators: MyRWA and JASM. 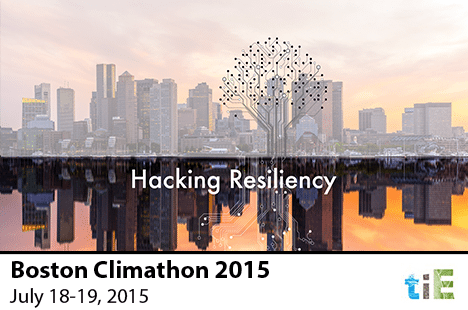 June 18, 2015 | A branch of the Global Climathon, the Boston Climathon-Hacking Resiliency event focused on city-level solutions to climate change problems in a 24-hour hackathon event. As one of only 10 cities chosen worldwide to participate in this global event, Boston represented North America along with Washington, D.C. in addressing and combating the effects of climate change. TIE lead the regional New England Marathon for this event, which focused on addressing climate change resiliency in the face of rising sea levels in the greater Boston area. 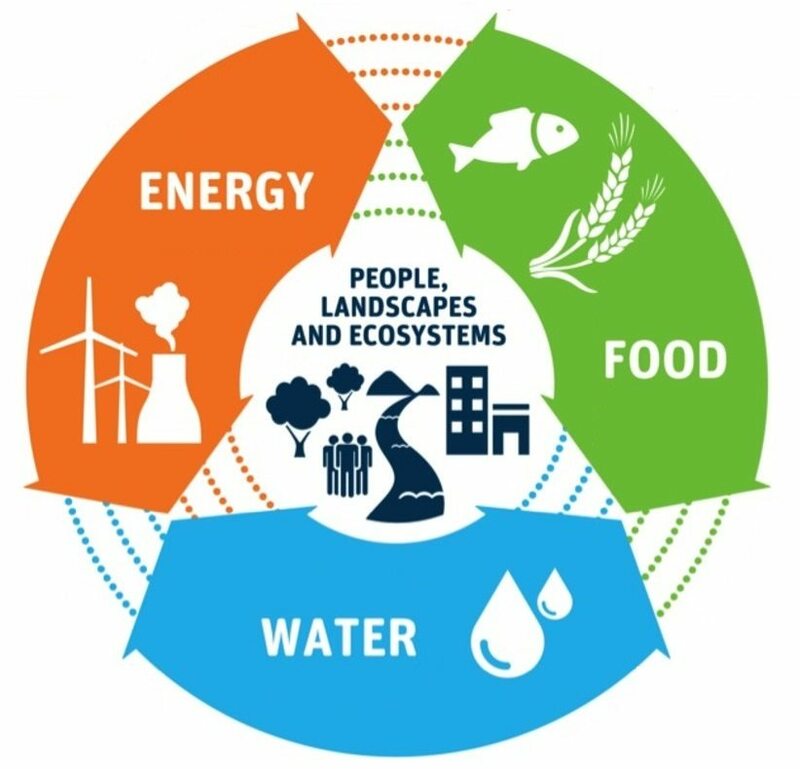 By hosting workshops and teams to spark and foster conversation, TIE contributed to the development of innovative technologies such as remote sensing, forecast and early warning systems, and next-generation disaster reporting tools and emergency response plans to combat the effects of climate change specific to this region. Read more about this event and TIE's involvement here! Co-Sponsors: Global Climathon.